Given the welcomed shift throughout the academy away from essentialist and biologically fixed understandings of "race" and the body, it is a curiosity worth exploring that so many sophisticated-and even radical-narratives retain physical and behavioral heredity as a guiding trope. The persistence of this concept in Caribbean literature informs not only discourses on race, ethnicity, and sexuality, but also conceptions of personal and regional identity in a postcolonial societies once dominated by slavery and the plantation. 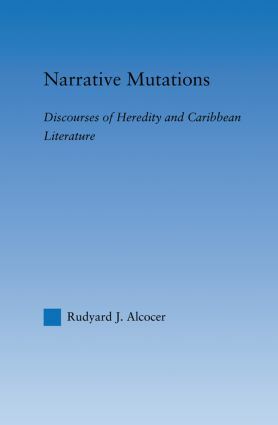 In this book, Rudyard Alcocer offers a theory of Caribbean narrative, accounting for the complex interactions between scientific and literary discourses while expanding the horizons of narrative studies in general. Covering works from Jean Rhys's Wide Sargasso Sea through contemporary fiction from the Hispanic Caribbean, Narrative Mutations analyzes the processes and concepts associated with heredity in exploring what it means to be "Caribbean."